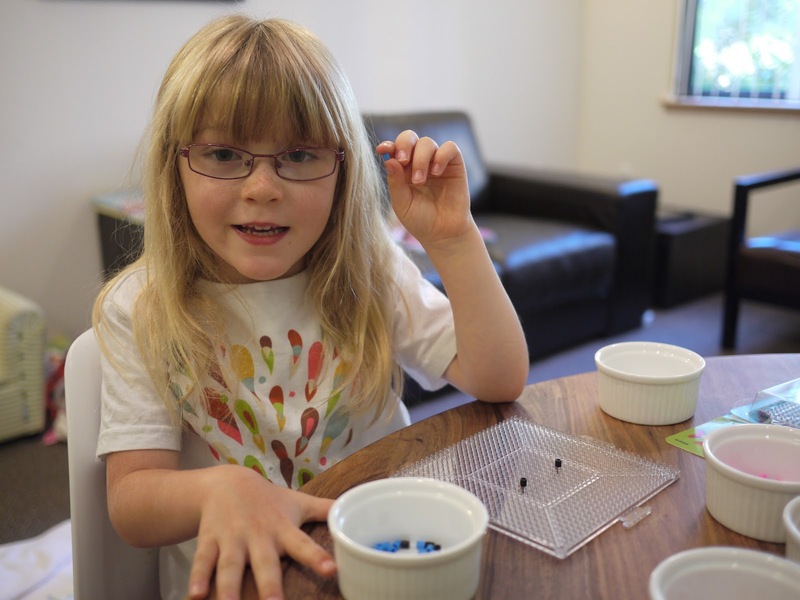 Friday was one of those cool, grey Bay Area Summer days when it's nicer to spend time indoors. Ava and I made the most of the cooler weather by working on a few crafty projects. 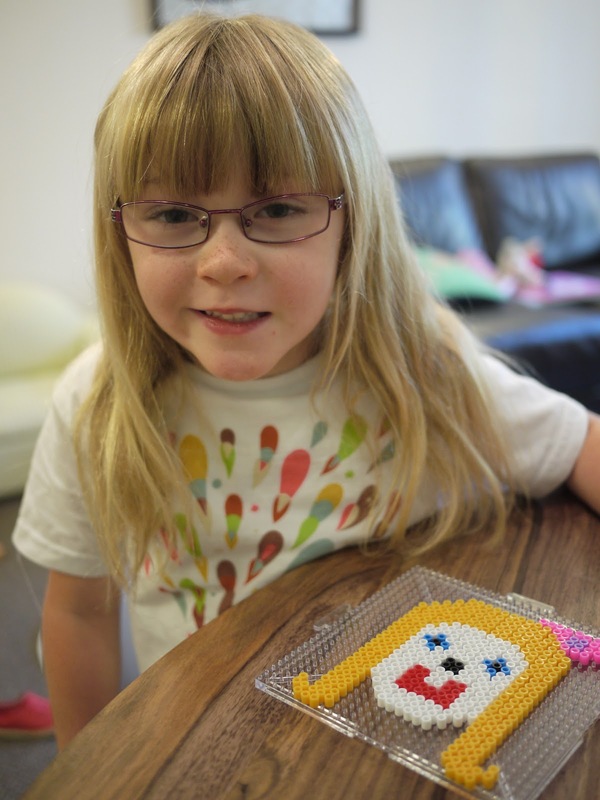 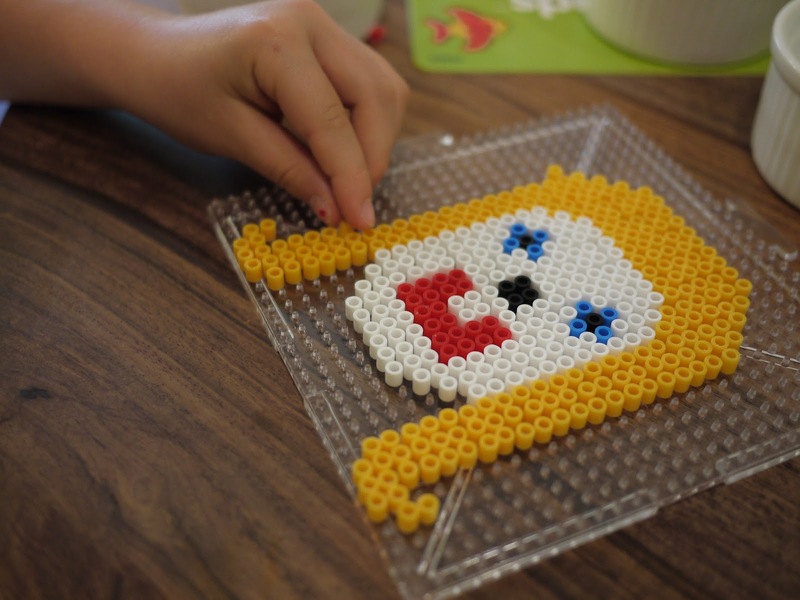 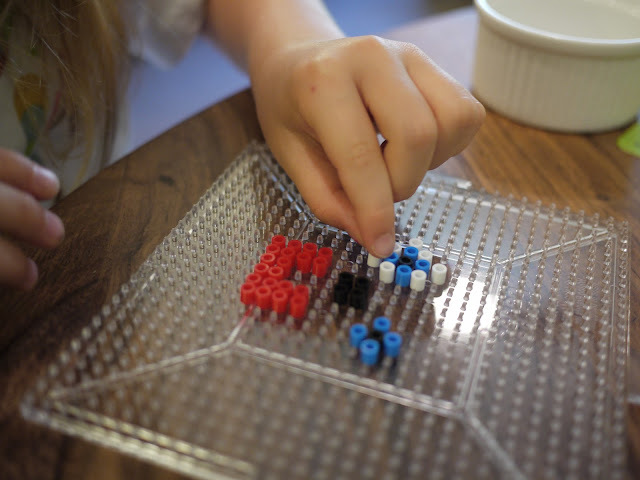 Our main project for the day was creating designs with Perler Beads - you know those little melty tube beads that come in a huge jar in a bazillion colours. 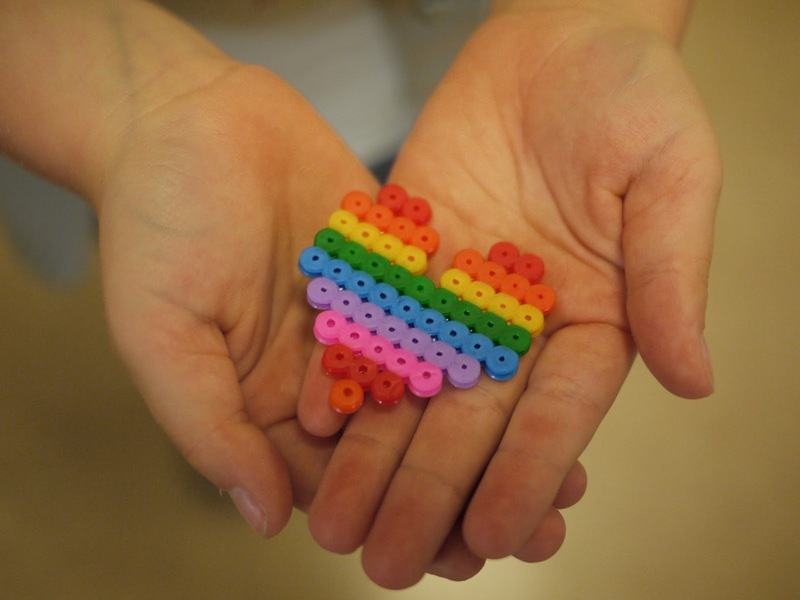 Ok, so ours were actually Ikea Pyssla beads, but they're pretty much the same thing. 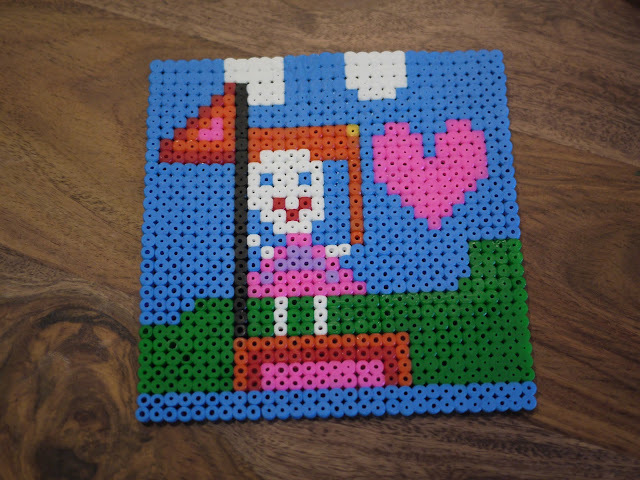 Anyway, the first project that Ava got to work on was a self portrait. 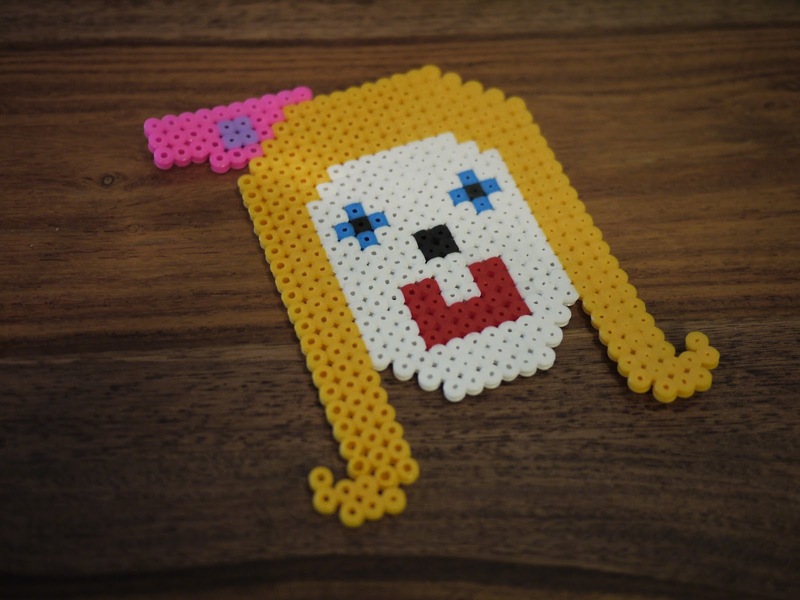 To begin with Ava's portrait was looking a little like a smiling skull (a la Day of the Dead! ), but as the face filled out it started to look less scary and more like a girl. Once Ava finished her self portrait she moved onto her next (and very ambitious) project: a full square intricate picture of Ava on a sail boat. 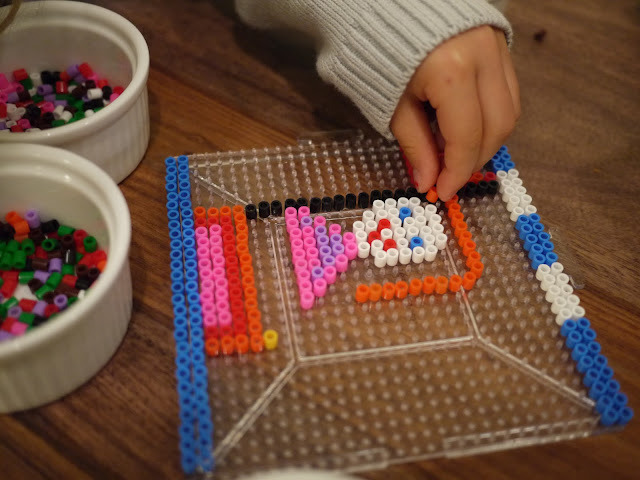 Ava was determined that she would make the entire thing herself without any help so this particular project took about four or five hours (over two days) to complete. 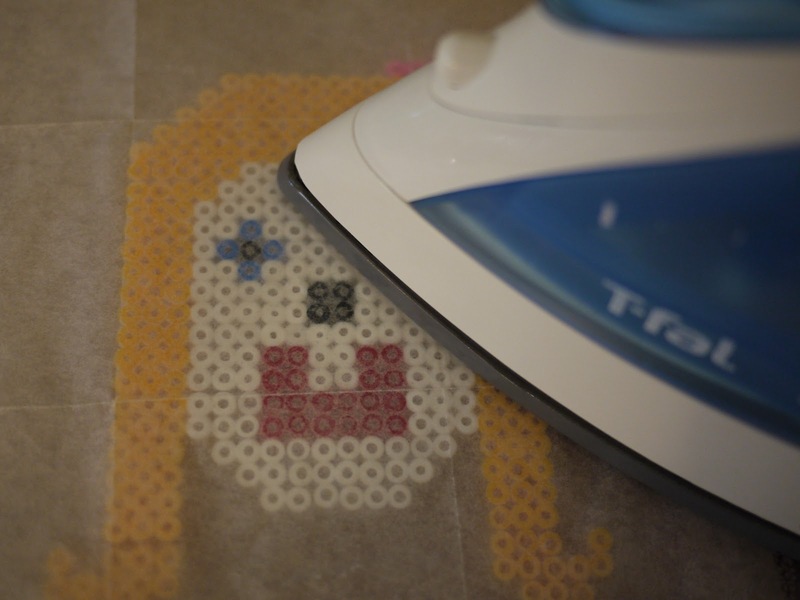 I was a little worried that something might happen to it overnight so I ironed it when it was about three-quarters done and Ava filled in the rest in the morning. 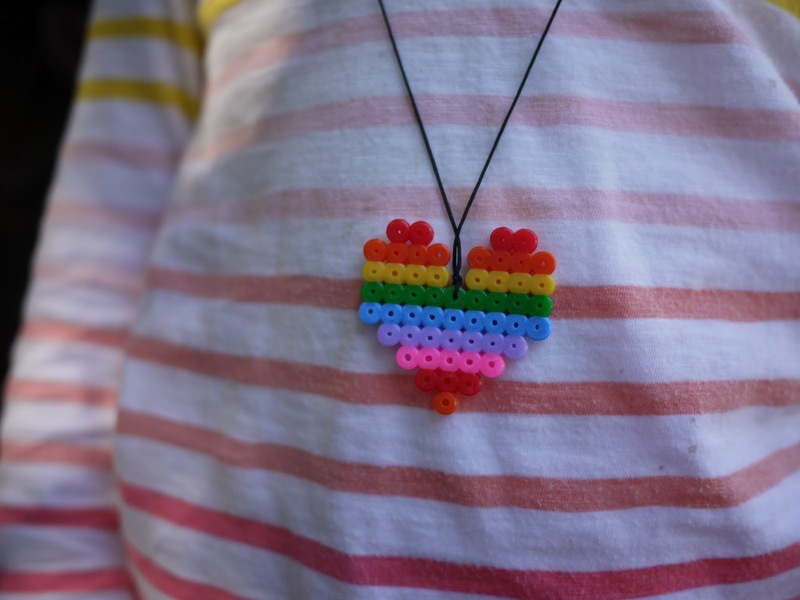 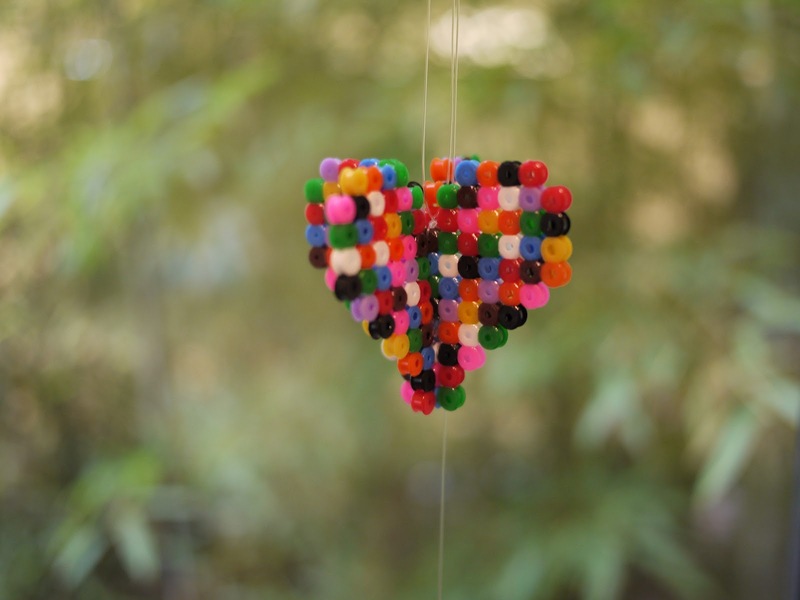 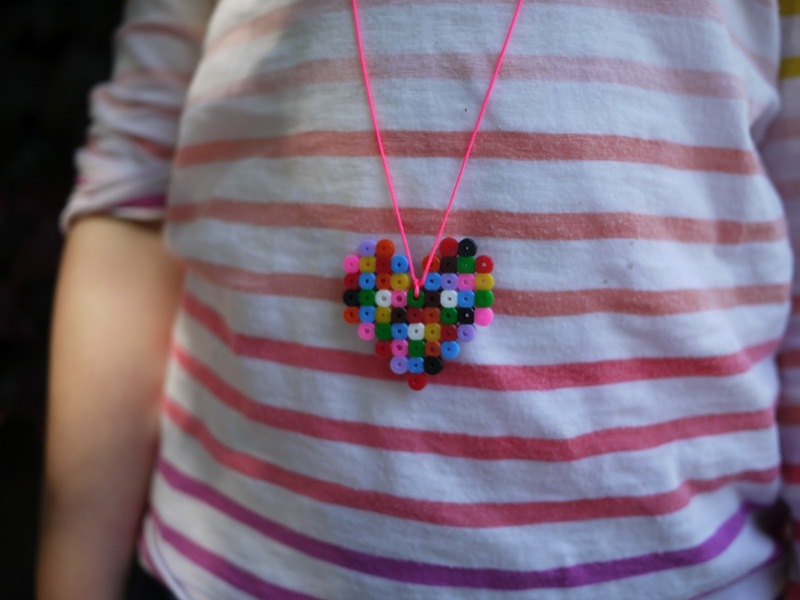 While Ava worked on her projects I worked on making colourful heart pendants. First up I made hearts to slot in together as a three dimensional ornament. 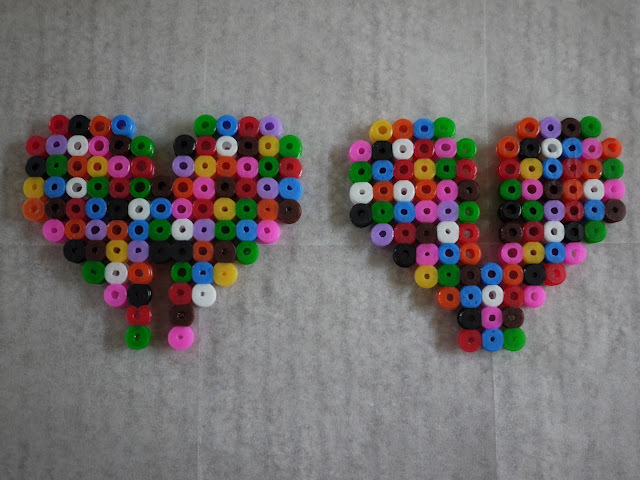 Once I had ironed the two heart pieces I slotted them together. 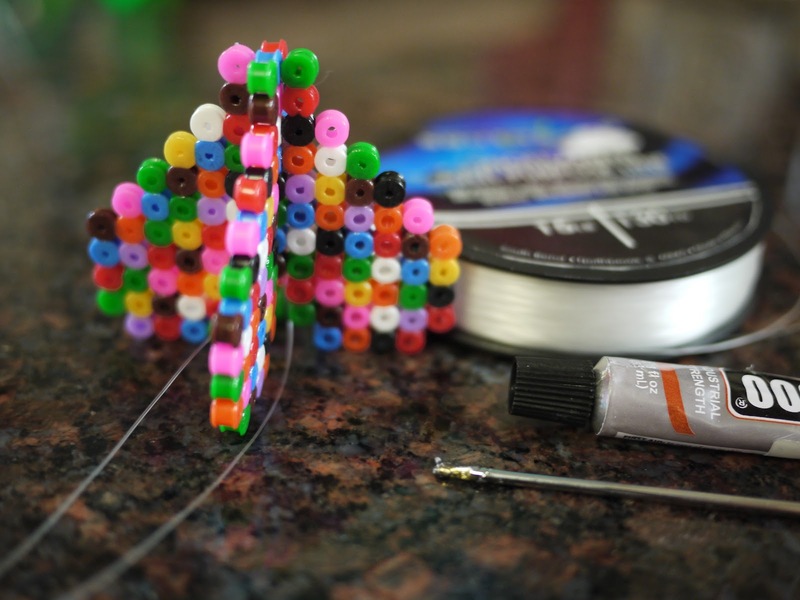 I added a dab of craft glue in the join to help strengthen the design and attached fishing line to hang it up. 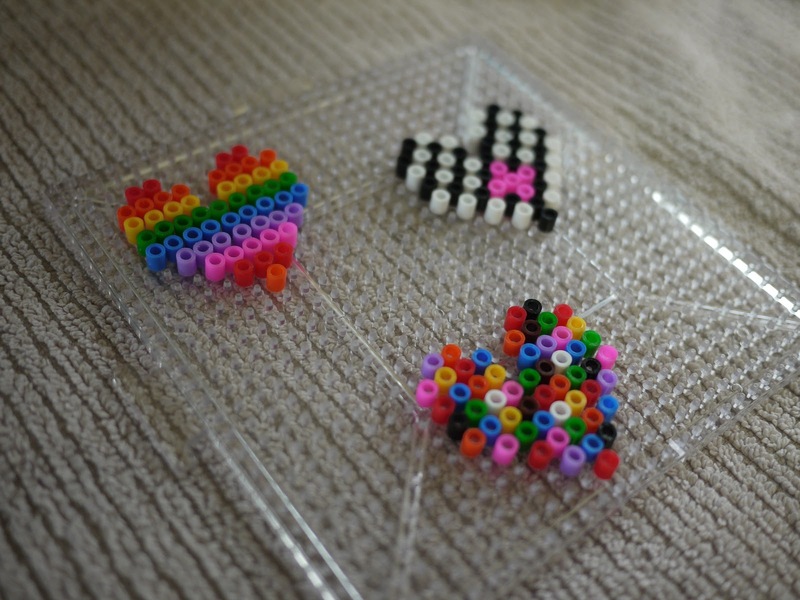 I also made little hearts to use as necklace pendants. 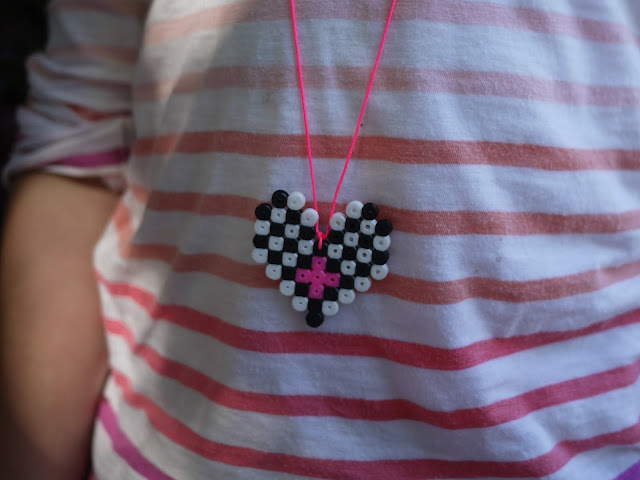 Once the hearts had been ironed I threaded cord through the top and, voila, three new necklaces for the girls. After all these little projects our jar of beads doesn't even look like we've touched it. 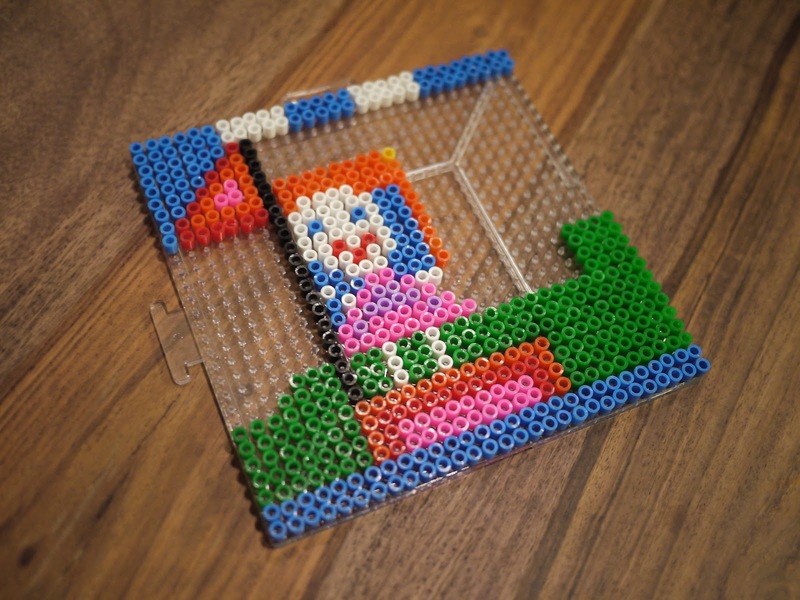 Lots more Perler bead projects to come I think! COOL, Thanks, I lost my little heart and you helped! !